Constructed entirely of 17-4PH Stainless Steel and featuring a full Stellite™ baffle stack, the Micro is built for anything you can throw at it. At 5″ long and weighing in at 11.8oz, the Mico is the shortest and lightest in it’s class. ADAPT™ Modular Technology allows the Micro to be configured in a standard 6.5″ or short 5″ configuration within seconds. 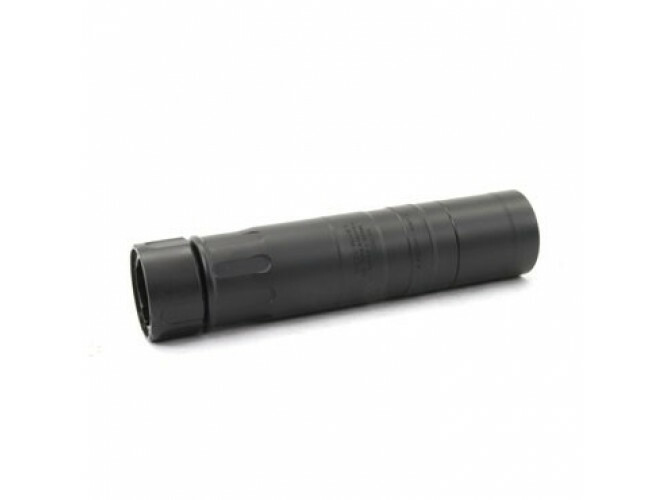 Patented quick detach mounting system ensures a rock solid lockup between the suppressor and muzzle device. With a smooth, snag-free, toothless design you no longer have to worry about teeth wearing over time. Like the rest of our products, our locking system is made for the long haul. The Micro30 is a perfect choice for both 7.62 or 5.56 caliber rifles and with the addition of 5.56 front caps, sound suppression levels are improved up to an additional 2 dB. The Micro comes standard with the suppressor, ADAPT Module, 7.62 R3 Flash Hider (5/8×24 Thread Pitch), 7.62 Front Cap, Tool, Operator’s Manual, and Micro30 Logo Sticker.